To celebrate International Women’s Day, Norwegian has announced that the portraits of eight renowned British women will adorn the airline’s tail fins and become ‘Tail Fin Heroes’. These inspiring women will join Amy Johnson and Jane Austen, who already feature on Norwegian aircraft, to create 10 British Female Tail Fin Heroes. Since Norwegian’s first aircraft took to the skies in 2002, the airline has always honoured iconic figures on the tails of its aircraft, celebrating personalities who symbolise the spirit of Norwegian by pushing boundaries, challenging the norm and inspiring others. 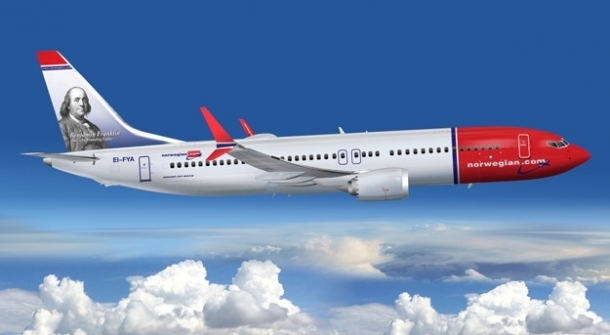 The portraits of these eight iconic British figures will take to the skies later this year as they adorn the tail fins of Norwegian’s aircraft.